The Forward reported Wednesday that Scott Wallace, who handily won the primary Tuesday, co-headed a fund that gave hundreds of thousands of dollars to organizations that support BDS in addition to their broader social justice agendas. But the Forward cites at least two instances — $50,000 for Jewish Voice for Peace in 2010-11 and $25,000 for a 2005 U.S. tour by British anti-Israel politician George Galloway — where the focus would appear to mostly be on pushing an anti-Israel line. Wallace is a philanthropist who, with his wife, headed the Wallace Global Fund until he ran for election this year. Most of its millions of dollars in disbursements go to addressing climate change, African causes and voting rights. The Fund’s web site lists four board members and four staff members. 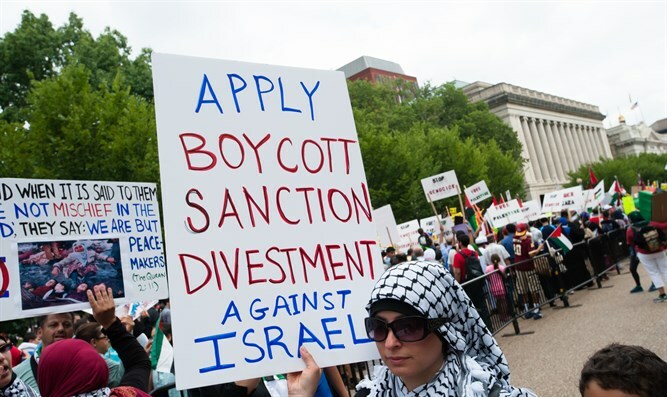 Nearly all mainstream Jewish groups, including many on the left, reject BDS because its aim is to isolate Israel and because many of its supporters reject the legitimacy of a Jewish state. Wallace, as the nominee in Pennsylvania’s 1st District, now faces first-term incumbent Republican Brian Fitzpatrick in what is seen as a swing district. Encompassing Bucks County, the district includes a substantial Jewish population living in Philadelphia’s suburbs. A state Supreme Court-ordered redistricting in March, addressing complaints about gerrymandering by the state’s GOP-dominated legislature, has raised Democratic hopes that victories in the state could help them regain the U.S. House of Representatives.